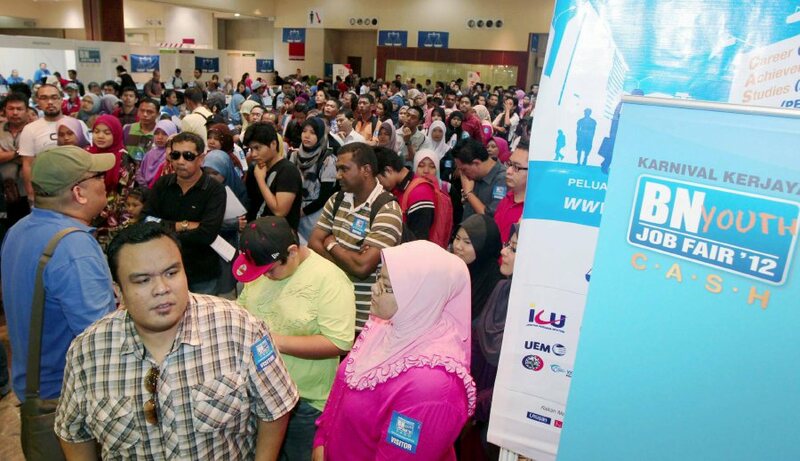 KUALA LUMPUR: A new system will be introduced by the Barisan Nasional government to safeguard job opportunities and training for youths. The Youth Guarantee promised to provide Malaysians under 30-year olds a job or a training opportunity within six months after they registered. BN pledged that this was not a rhetoric promise as six initiatives namely SL1M (1Malaysia Training Scheme) 2.0; MyApprenticeship; MyInternship; National Bootcamp TVET (Technical and Vocational Education and Training); Employment through Infrastructure Projects and Social Entrepreneurship Job, will kick-off to implement the system. Under SL1M 2.0, university students and potential employers will be matched at an earlier stage while the Social Entrepreneurship Job initiative will provide incentives to social entrepreneurs in creating more job opportunities. Meanwhile, National Bootcamp TVET to increase TVET training grounds via short courses followed by job matching with the industry player. Youths will have more opportunity to work under the national mega infrastructure projects once Employment through Infrastructure Projects initiative is executed. MyIntership initiative to help every public university student equipped with high Microsoft Office skill and quality industry training. MyApprenticeship initiative offers a new alternative to school leavers who want to work while training in five major industries. • More than five millions students to be equipped with skills to face the 4th Industrial Revolution. • More than one million youth to have career and training opportunity in TVET industry. • More than one million university students to get National Higher Education Fund Corporation (PTPTN) loan. • To repair and upgrade dilapidated schools nationwide within five years.